In recent weeks, TAG Motorsports parted ways with Black Betty – their project car. 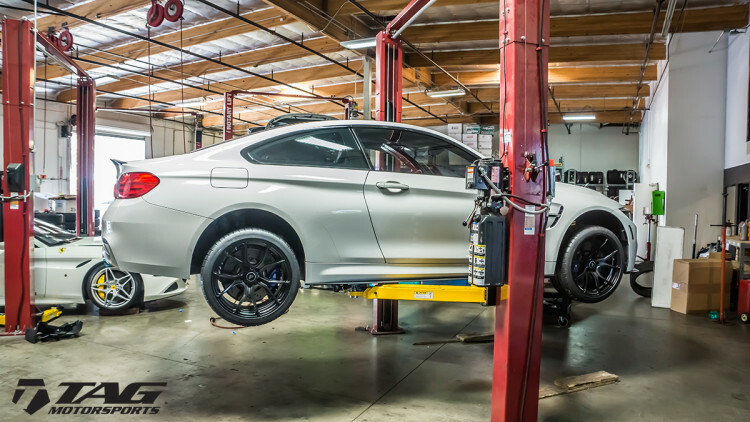 After acquiring this Mineral White BMW M4, they decided to take a similar approach for this project. The addition of high-quality aftermarket aero parts, alongside performance and other visual upgrade – like these Vorsteiner wheels – ensure a great looking build yet again. 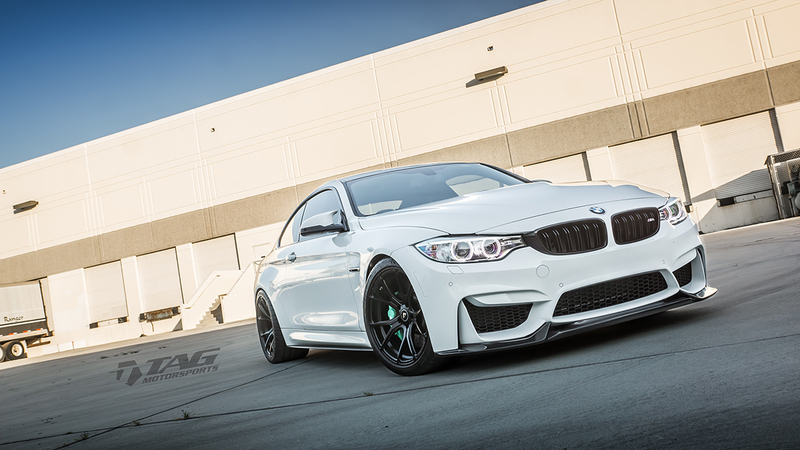 TAG Motorsports started the build with a set of Vorsteiner V-FF 103 wheels. The wheels come in sizes of 19 inches front and rear. These are finished in Mystic Black, working nicely with the white exterior. 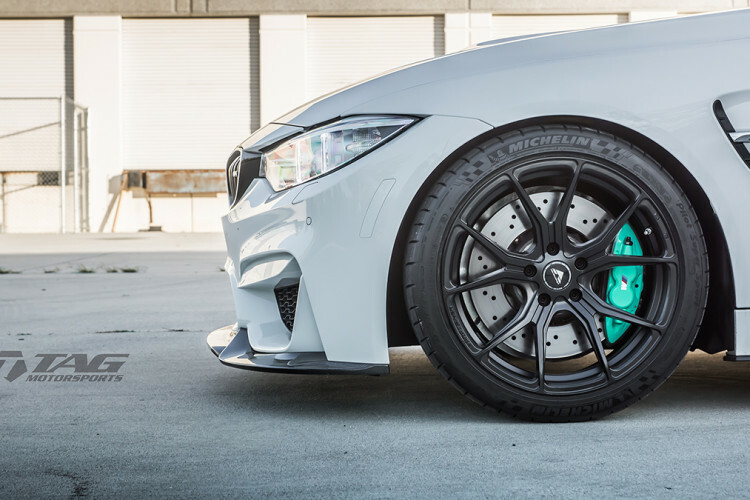 The tire choice was made for a set of 265/35/19 & 305/30/19 Michelin Pilot Super Sport tires. Sadly there are no power upgrades with this build. This BMW M4 comes with the stock set up 3.0 liter BMW TwinPower engine, which develops 425 horsepower, powering the vehicle for a 0-62 mph (0-100km/h) sprint in mere 4.1 seconds. 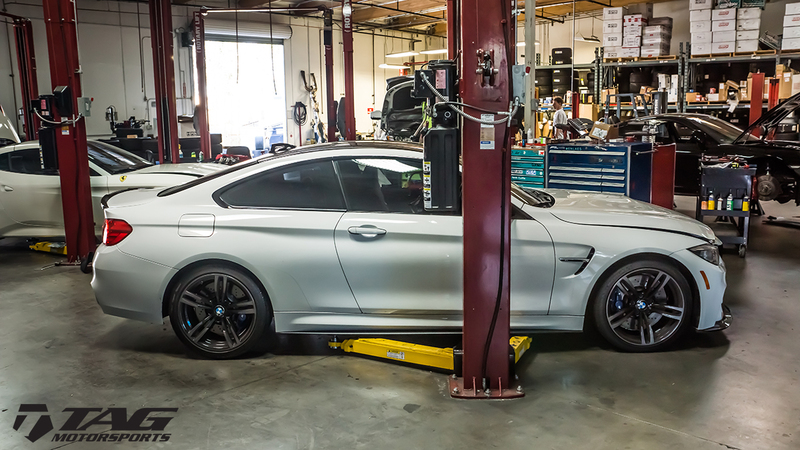 To adhere to the need of better handling and improved stance, the tuning shop installed a set of KW Height Adjustable Springs. This allows the vehicle to perform better in tight curves, but also allow the car to be further lowered, thus enhancing its overall visual appearance. A few other nice touches like the Mint Green painted brake calipers and joining seatbelts, alongside a few painted parts, completed this build.